Please read this agreement carefully before using our website(s) and services. They represent the terms and conditions ("Terms") for using www.sxsports.co.uk and for placing orders for items from www.sxsports.co.uk. By placing an order from www.sxsports.co.uk you are deemed to have understood and accepted these terms. Please print a copy of these terms and conditions for your reference. We reserve the right, to update and/or revise these Terms at our discretion. Please check periodically for changes. Using www.sxsports.co.uk indicates that you accept these Terms. You are permitted to use our website solely on the basis of these Terms. www.sxsports.co.uk may change, suspend or discontinue the services at any time, including the availability of any feature, database, or content. www.sxsports.co.uk may also impose limits on certain features and services or restrict your access to parts or all of the services without notice or liability. We supply Football Clubs, Universities, Colleges, Schools and Businesses, these customers are classified as business customers, these conditions of sale also apply to all of our bulk purchase customers ordering more than five of the same items. Trade Discounts are given to our business customers ordering 5 or more of the same items as shown on the product page. All samples are subject to the terms below. 1: Samples must be returned in their original condition, with all tags and packaging complete. 2: Samples must be returned within 10 days and be in a re-saleable condition.  www.sxsports.co.uk has taken extreme care in the preparation of the content of this website, in particular to ensure that prices quoted are correct at time of publishing. All prices are displayed inclusive of VAT where applicable. We have made every effort to display as accurately as possible the colours of our products that appear on the website. However, as the actual colours you see will depend on your monitor, we cannot guarantee that your monitor's display of any colour will accurately reflect the colour of the product on delivery. To the extent permitted by applicable law, www.sxsports.co.uk disclaims all warranties, express or implied, as to the accuracy of the information contained in any of the materials on this website. www.sxsports.co.uk shall not be liable to any person for any loss or damage which may arise from the use of any of the information contained in any of the materials on this website. A contract is formed between www.sxsports.co.uk and you when we despatch the goods you have ordered. Exceptions apply to customised or personalised items, orders for which cannot be cancelled once you have received email confirmation that your order has been accepted. For a list of exceptions please see Returns section. Delivery Timescales - All Branded kits and equipment are usually despatched in approximately 10-15 working days (not including weekends) on a next day basis, however please allow up to 28 days for delivery (not including weekends). Printing and Embroidery on garments will delay your order despatch by 3-5 working days. Orders will only be processed on receipt of payment. Delays may be unavoidable at times due to circumstances beyond our control. Delivery charges vary depending on the type of products ordered, the service you select and the delivery address. For full details of our delivery charges please refer to the relevant section on our website. In the UK, delivery charge refunds can only be made in accordance with your legal rights under the Distance Selling Regulations and other legislation. Similar rights may apply for some international deliveries. No artwork will be returned unless requested. The image remains the copyright of the customer and the embroidery design remains the property of, www.sxsports.co.uk. All designs are stored for an indefinite period Free of Charge. You are able to correct errors on your order up to the point at which you click on 'place order' (or its equivalent) on the final page of our ordering process. We are an internet based company and all orders should be sent or confirmed by e-mail to ensure that Brand/Style/Colour/Size & Printing are correct, any orders that are placed by telephone and not confirmed as above, will be entirely at the customers own risk. We endeavour to complete all orders to customer's specification but are unable to take responsibility for non-confirmed incorrect orders. Personalised items are Non-returnable. The staff of www.sxsports.co.uk will never recommend to the customer the sizes for garments purchased, this is the sole responsibility of the purchaser and they do so at their own risk. www.sxsports.co.uk rely on the customer to order the correct sizes & quantities and confirm in writing, if we supply the specified size/quantity correctly then www.sxsports.co.uk will not accept any costs involved in exchanging the product. Some manufacturers, state recommended ages/sizes. You will appreciate that all children are not the same size. This is the sole responsibility of the purchaser and they do so at their own risk. www.sxsports.co.uk must be informed of any shortages/errors in any Deliveries within 48hrs of receipt of the order. If you have supplied us with your email address, we will notify you by email as soon as possible to confirm receipt of your order. Our acceptance of your order will take place upon despatch of the product ordered. In some occasions, the manufacture and supply of your products may be delayed. There are various reasons for this, such as material shortages, import delays or higher than anticipated demand. We will, of course, keep you informed with up to date information when available. The acts decrees, legislation, regulations or restrictions of any government. As your items are manufactured, customised or personalised specifically for you, once payment is taken no changes to the order or any cancellation may be made, except in accordance with your legal rights. For any content that you submit, you grant www.sxsports.co.uk, a perpetual, irrevocable, royalty-free, transferable right and license to use, copy, modify, delete in its entirety, adapt, publish, translate, create derivative works from and/or distribute such content and/or incorporate such content into any form, medium or technology throughout the world without compensation to you. All content that you submit may be used at our sole discretion. We reserve the right to change, condense or delete any content on our website. We supply Football Clubs, Universities, Colleges, Schools and Businesses, these customers are classified as business customers, these conditions of sale also apply to all of our bulk purchase customers ordering more than five items. We are a U.K. Retailer and as such have to charge £30.00 for returned goods to cover our administration charges on all items that are agreed by us for return. No personalised goods will be accepted for return. www.sxsports.co.uk rely on the customer to order the correct size and quantity and confirm this in writing. If we supply the specified size/quantity correctly, www.sxsports.co.uk will not accept any costs involved in exchanging the product. All costs, including a restocking charge, incurred against incorrectly ordered goods would be the responsibility of the customer. www.sxsports.co.uk should be notified within 48 hours of receipt of order of any shortages or errors with an order. Under our business terms and conditions we cannot except returns/cancellations for the following Brands. Errea, Umbro, Nike, Joma, Mitre, Stanno, Kappa and Hummel. We cannot be held responsible for items where an attempted delivery has been made, if the courier returns the parcel to ourselves because no signature could be obtained. We will need to re-charge carriage costs to re-despatch. We cannot be held responsible for delays in delivery due to circumstances beyond our control. If you return the order we will not refund any delivery charge as this part of our service to you has already been completed. You must pay the cost of returning the goods to us. These terms and conditions apply to our Non business customers who have ordered less than 5 items. Under the Distance Selling Regulations, UK consumers have the legal right to cancel their order within seven working days of receipt of the goods. Certain products cannot be returned, particularly items ordered to order and made to order, personalised or customised to your instructions. You may return any item within 7 days of receipt, Your product must be complete, unused and in 'as new' condition (e.g., if you have opened the box to examine the product you must have done so without damaging or marking the product in any way). It should be returned with the original box, packing and accessories. If you return the order we will not refund any delivery charge as this part of our service to you has already been completed. You must pay the cost of returning the goods to us. Returned items which are not in new or unused condition or which are returned after the 7 day period may not be credited to your account. www.sxsports.co.uk is committed to ensuring that your privacy is protected. Should we ask you to provide certain information by which you can be identified when using this website, you can be assured that it will only be used in accordance with this privacy statement. A cookie is a small file which asks permission to be placed on your computer's hard drive, the cookie helps analyse web traffic or lets you know when you visit a particular site. Cookies allow web applications to respond to you as an individual. The web application can tailor its operations to your needs, likes and dislikes by gathering and remembering information about your preferences. We do not analyse your browsing behaviour to draw inferences and create profiles about your personal preferences and behaviours. We may use your information to serve you with advertising or special offers. If you wish your personal information to be deleted upon completion of your order, please advise us by writing to or emailing us. In the case of any dispute your personal details will be automatically be deleted to protect you.